I stumbled upon Nollywood by accident. One day I went to the market with a Ghanaian friend and we passed a Ghanaian shop that sold Nollywood DVD’s and other random African merchandise. My friend was visiting Ghana for the first time and got talking to the guy behind the counter. Whilst their conversation progressed I began meandering around the shop… well I say meandering but in reality the shop wasn’t quite big enough to meander as such… Nevertheless I am sure you catch my drift. So I start looking at the Nollywood Movies on the shelves in the shop and my eye gets stuck on a guy on the cover of one of the films. I didn’t know who it was then but I know it now. 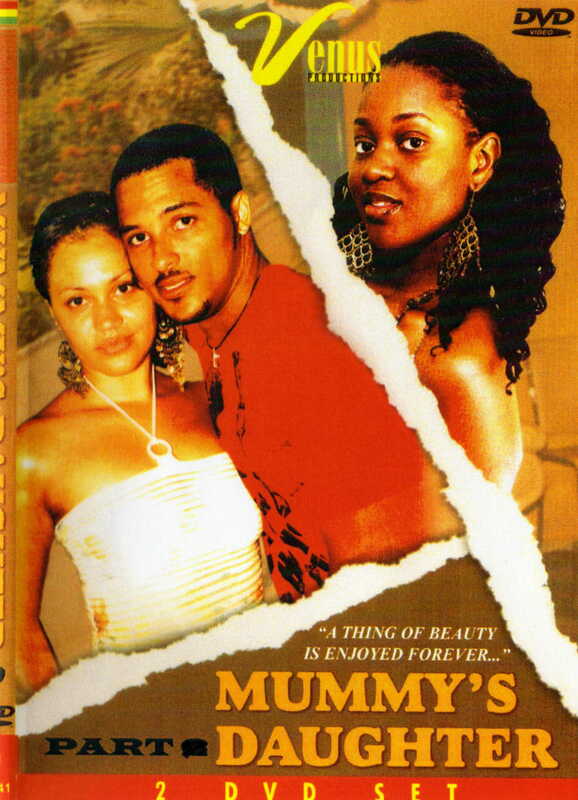 That guy was Van Vicker and the Nollywood movie was a Ghanaian one called Mummy’s Daughter. So my first film was a Ghanaian one and it was bought on the account of Van Vicker looking hot on the cover. So Van Vicker was the first one I fell in love with before Desmond Elliot, Nonso Diobi, Jim Iyke (that infatuation was very brief), The two Mike’s (Ezuruonye and Okon, who says yellow boys aren’t in?) and RMD, Richard Mofe Damijo for those that don’t know. I went home and watched the Nollywood Movie Mummy’s Daughter and I was hoooked! It was like WHAT? How come I’ve been missing this Nollywood stuff all these years? I didn’t even know of Nollywood’s existence. That is how out of the loop I was. It was like being a kid again… You know when you got excited (or maybe still do!) at seeing some black people on the TV. It was like that…. Like The Cosby show all over again! So Mummy’s Daughter I thought was great then as the end of the DVD rolls up what do I see? OMG! I was so pissed off! Pissed is not even the word! Right at the cliffhanger the film finished!!! What was gonna happen between Anita and Princess now? I paid £7 ($13) for that one part now I would have to go back and pay the same for the other part. As annoyed as I was about the money and my film finishing mid flow I went back to the shop to go get part 2. Of course now I know that practically all Nollywood movies are split up into parts, but back then I had no clue. I didn’t watch Mummy’s Daughter until about 6 months afterwards. I went to the same shop on a number of occasions and the guy just never had it. I ended up getting it on VCD from a Nigerian vendor. That was my first foray into Nollywood and after spending £7 on just one part on DVD I quickly realised after perusing the Nigerian Movie stalls that I could get two parts for less than £7. That was how I learnt the lesson about always asking how many parts a Nollywood movie comes in? After all if you don’t ask you will never know. The vendor is quick to get rid of their merchandise. If they have incomplete Nollywood movies they WILL try and get rid of them no matter what. From the one Ghanaian film experience I quickly threw myself into Nigerian movies. My first purchase was Girl’s Cot. I watched Parts 1,2 and 3 one evening after work… Whooooo! was I tired the next day after spending half the night watching it, unable to go to bed without finishing! Then next came Fishers of Men… Oh my in my first few months I got some really good Nollywood movies. The vendors were good to me recommending the ones that they knew would truly make me their life long customer, and it worked. I bought my Nollywood movies faithfully, every week without fail and sometimes up to ten at a time. After they had got me well and truly hooked with the merchandise came the dodgy ones they lobbed at me. The ones that they knew a newby like me would watch under their recommendation because I knew no better. Oh my! Truly awful films like Mass Destruction, Night in the Phillipines, True Romance and Million Dollar Sisters. I learnt the hard way and it only made me stronger. I soon discovered www.naijarules.com and following threads like the “worst Nollywood Film” thread gave me the heads up on what to and what not to get. Of course I still make mistakes now and then, but that can only be expected! After I am only human! I keep getting asked about where people can buy Nollywood movies. I AM NOT A SELLER neither can I send you any. If you do not have any shops selling Nollywood movies near you then check: www.ebay.com. There is always something on there and you get the film delivered right to your door via mr postman.